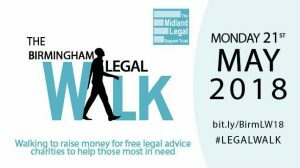 Today’s the day of the Birmingham Legal Walk, and a team from ASIRT will be joining hundreds of other walkers to raise funds for justice. As recent events, including the Windrush scandal, have demonstrated, the UK’s immigration system is broken. Lives are being wasted and put on hold as consequence of a hostile environment policy agenda which strives to impoverish and immiserate, and effectively to drive people out of the UK. Overwhelmingly, women and children are the primary casualties in this war of attrition. We have spoken before of the situation faced by Anna and her children, which continues its glacial trajectory. Anna’s oldest daughter has now been eligible for British citizenship for the past five years. She has been unable to access these citizenship rights, since she simply cannot afford to meet the costs of the application, from which fees the Home Office has to date profited by more than 800 million pounds. ASIRT is presently working with half a dozen families in the exact same situation, with children who, having spent the first ten years of their lives in the UK, have a legal right to be registered as British citizens, but who have simply been priced out of claiming this right. All of these six children are presently destitute. Their mothers, being subject to immigration control, are not allowed to work and, having no recourse to public funds , they have no access to any form of income other than the minimal subsistence payments made available to them by local authorities under section 17 of the Children Act. One of these children has been living in these conditions for well over 4 years. All of this has a detrimental effect on local authority budgets, already depleted after years of austerity measures. Birmingham City Council, for example, was spending in excess of two-million pounds on the provision of section 17 Children Act support to families whose immigration status consigned them to destitution some 5 years ago. We understand these numbers to have increased incrementally in the intervening half-decade. Yet, regionally, there appears still to have been little thought around how to work with these families and with voluntary sector partners to challenge this state of affairs, or to work to resolve these immigration difficulties in any given child’s best interests. One father with whom we are working spoke to a social worker in another local authority about his daughter’s citizenship application, and was told that the local authority would not help to meet these costs since ‘if we do it for you, we’ll have to do it for everybody’. Yet, of course, it would be entirely in the local authority’s best interests to have a strategy in place to help resolve the immigration statuses of children in need, precisely because the absence of such a strategy guarantees the long-term destitution of children who can’t afford to access precisely the citizenship rights which would help them out of this destitution. The status quo, in other words, is such that it will subsidise these children’s failure, but not their potential success. And a failure it is. Research unequivocally indicates that homelessness and precariousness in early life impacts significantly on an individual’s life chances. Bluntly, a child experiencing homelessness as a child is more likely than one who hasn’t to experience ill health, homelessness and poverty throughout the rest of their life. As a society, we are investing in failure. A status quo in which thousands of children’s lives across the UK are wasted simply cannot hold. The work of organisations like ASIRT, seeking not only to ensure access to justice for people who would otherwise simply be unable to afford it, but also to mount strategic challenges to policies and procedures which serve to exacerbate these injustices, is vitally important- particularly as we approach Brexit, and the disruption to many thousands of people’s lives it will entail. This, then, is why we are walking tonight.